Wappler is an impressive tool as it is, but it would be super awesome if it could add support for Electron (https://electronjs.org) to allow us to build desktop apps, besides iOS, Android and Web apps. Wappler would then definitely become “the app builder to rule them all”. Good idea! Sure we can do that - seems like a logical step indeed. Although we have a slight preference for NWJS (https://nwjs.io/ ) as Wappler is also build with it. That makes sense. Nwjs is easier to use, so it would be more akin to the Wappler’s philosophy. Electron have a broader integration with native features, though. These are my reasons that explain why I prefer working with NW.js over Electron. Not yet - this is a bit low priority right now. 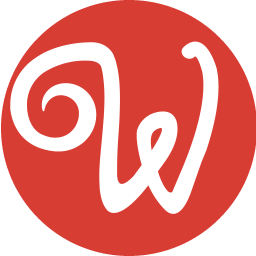 I think Wappler can support NW.JS or ELECTRON . This feature will be perfect for users . Because we can create desktop application , kiosk etc.with WAPPLER !!! @Marcio_Duarte This is a fantastic idea. It cannot be overstated what a tremendously useful feature this would be and how much of a competitive advantage it would give Wappler in this space. You’re right, it is an incredible tool as-is but this would be nothing short of a game-changer. Well just to add to the news a lot of new exciting developments are coming to that area! So exciting times ahead and we will definitely take advantage of those great developments in Wappler!